Rochester is at the forefront of researching a new Lyme disease vaccine. 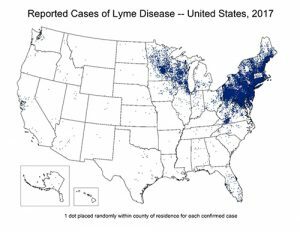 Rochester, N.Y. – Each year, approximately 30,000 cases of Lyme disease are reported to the CDC and recent estimates using other methods suggest that approximately 300,000 people may get Lyme disease each year in the United States. While antibiotics can help treat Lyme disease if caught early enough, a Lyme disease vaccine is the best way to combat the disease. Rochester Clinical Research (RCR), is currently at the forefront of Lyme disease vaccine research as it conducts a Lyme disease vaccine study within the next two weeks. Lyme disease is an increasingly common disease transmitted through the bite of a deer tick. 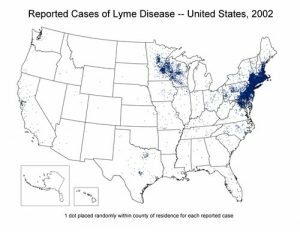 In the Northeast, especially New York State, Lyme disease has increased steadily over the past 25 years, according to the CDC, making it the most commonly reported vector borne illness in the United States. There can be long-standing consequences of the disease if it is not caught early enough including chronic, neurologic, joint and cardiac symptoms. The diagnosis can be challenging and bloodwork is not definitive, making it hard to detect and causing the number of probable cases to increase. Symptoms of Lyme disease include rash, fever, fatigue, joint pain and can be treated with antibiotics. Rochester Clinical Research is currently enrolling individuals between the ages of 18-40 years old who have had Lyme disease in the past, to participate in a Lyme disease vaccine research study. The study will hopefully give approval to a safer, more effective Lyme disease vaccine to help the Lyme disease epidemic in the North East. You can get Lyme disease multiple times, so the vaccine may protect you against future disease. For more information about this research study opportunity, visit the RCR website at www.rcrclinical.com or call 585-288-0890. Rochester Clinical Research was founded in 1994 with the objective of providing the Greater Rochester area with access to a premier clinical research facility. The goal of the organization is to advance new medical treatments and improve the quality of life for individuals everywhere. Rochester Clinical Research puts great pride in the relationships it has with its sponsors, volunteers, and staff. The organization strives toward advancing new medicines and catching up with diseases before they become a problem.